The Future of Work wouldn't be same as it is today. It is hard to imagine a working world without all current modern technology. Technology has re-shaped the workplace in recent years and skills required to grow with these changes. In the workplace, many tasks will become automated and more efficient due to new technologies, which requires new ways of thinking and accomplishing tasks. Therefore, ability to use these technologies to identify and solve problems is a crucial skill. Businesses would need workers who can think, predict and will have to solve problems that don’t even exist yet. Future problems might be to fix a technological fault, or to deal with wider issues such as environmental issues or in developing a sustainable business model. Don't be as a "Frog in the Well , Think out of the Box" aren't enough to be creative. Creativity is not just for musicians or artists, it is important for whatever role you take in life at job. Add a flavor of creativity into every simple task you take, this can help to transform things and create something great. The priorities of organisations are always changing to meet customer demands and so their requirement for being creative will be on higher side. Show them that you can think creatively and you’ll certainly be more employable. The significance of it is growing rapidly at workplace. A great critical thinker has to be logical and reasoned too or else what’s the use in ideas that aren’t practical? 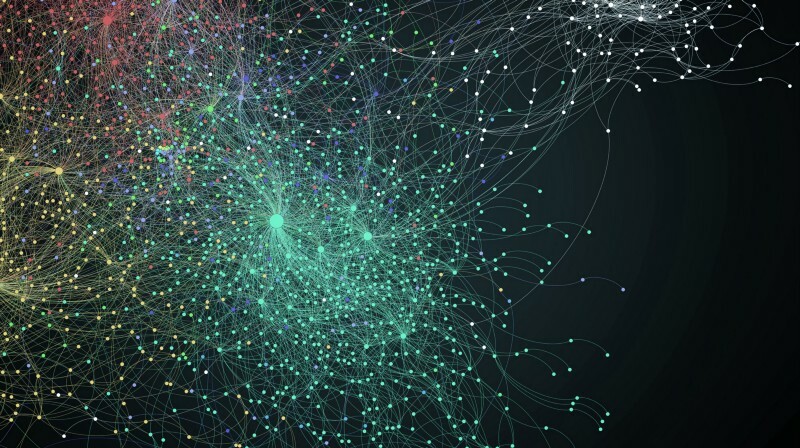 Data Science is one technology on which the future of every company is depending on. Employers want innovation and a continual stream of exciting new ideas and ways of approaching their products and services, whether it can be in Banking & Finance or Information Technology or any Service sector. Innovative ways of thinking are what drive businesses forward. Employers look for people who can master new technologies, understand and solve complex new problems or come up with new ideas to help their businesses stand out from the rest in the market. The workplace is always changing and this means that companies are looking for people that can adapt to these trends and work with new systems. You'll have to adapt to your role, the business and any new changes in the working environment. There is no other way than adapting to the change or else you are out of the league. 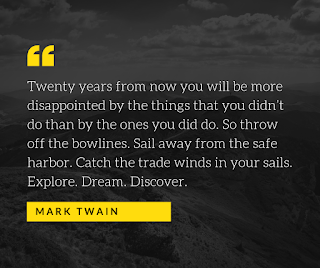 This is all about doing more with less. Businesses want to get the most for their money, so they’ll favor the employees who understand their requirements and help company to achieve its goals. 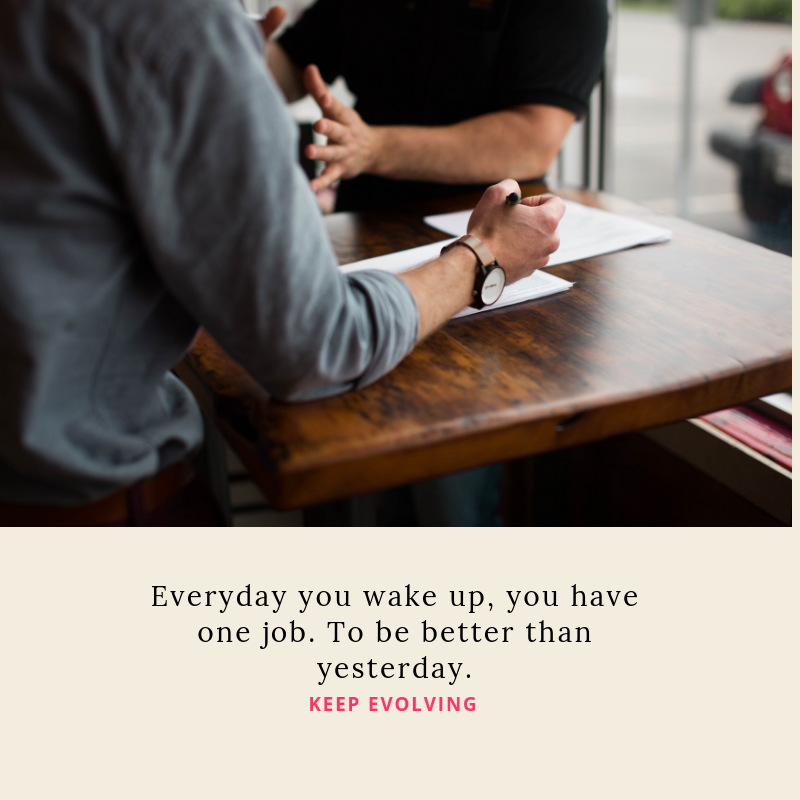 Everything is in a stage of evolving, so you should be. 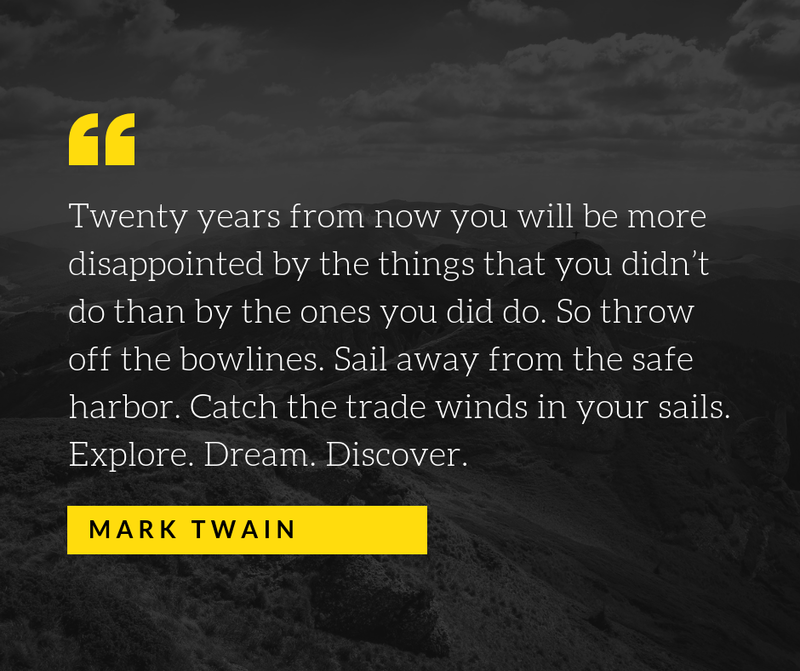 Be smart and take care of your career to face the future work requirements. 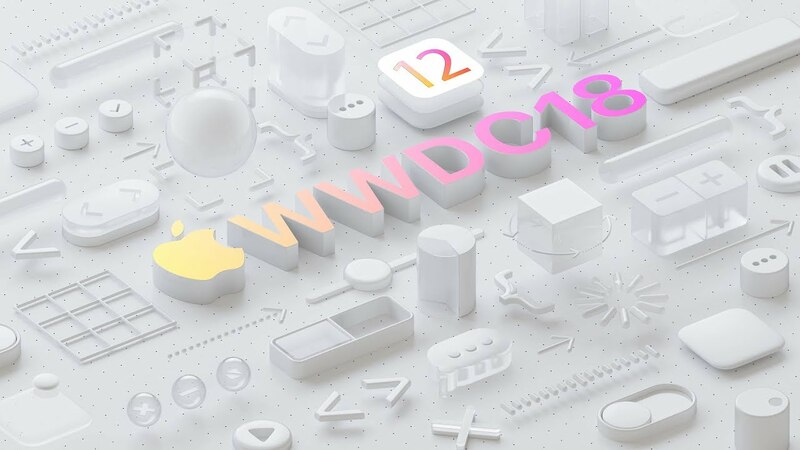 Few more days away from Apple’s first event of the year – WWDC 2018 in US, starting June 4 and ends on June 8. Apple is likely to introduce the next version of its mobile OS iOS 12. Over the internet we can see some illustrations shared by anonymous Apple enthusiast on how Apple may revamp the lock screen with iOS 12. Some of the concept images are from iHelp BR via GadgetsNow and 9to5 Mac. The iOS 12 lock screen could get Apple Watch kind of feature and the users will be able to choose app shortcuts that will be shown on the lock screen to make it easier for access. Icons might support 3D Touch, with a detailed view. The above images shows apps such as the Phone, weather, music and stocks. 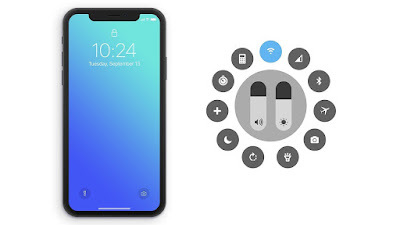 Apple iOS 12 may have a new volume indicator that doesn’t take less screen area. Now a days the floating sound controller is available in Android and the similar one can be made available in iOS as well. Also the long awaited feature such as dark mood might be made available. Anyway we are yet to see how many of these actually see the light of the day and that is today. 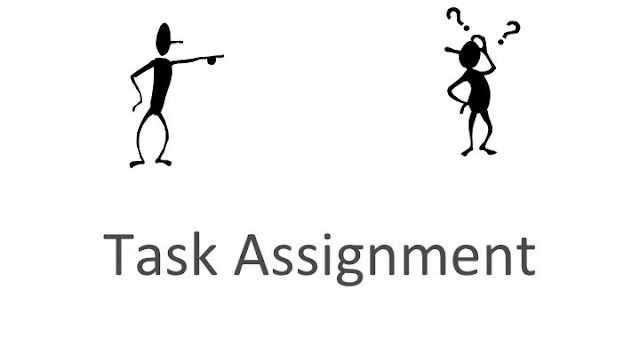 When you ask someone to complete a task for you, it depends on how you ask, what you are asking and why you want it. The delegation of work or assigning tasks and getting them successfully completed is a management practice. When your approach of asking someone to do a task for you is clear, it is more likely that you will get it delivered as you want it and when you want it. A great approach exists to make sure our task assignment is thorough and our team member has the clear idea of what are the task requirements? Having worked directly with the higher level management for few IT projects, we observed that they have practised and created a better approach of how to assign a task and get it delivered as they wanted it. This might be a well-known practice all over the industries, but to put it simple, it is just a group of 6 letters - CPQQRT. Most managers actually bear in mind these 6 letters when a task is being assigned to a team member and explain the necessary. Context - Requirement, why is this task required? does it have any background or are there any previous efforts which have been put into it, which created the need for this task? Are there any issues which need's to be addressed? Purpose - Objective & Reason, what is the aim/ objective of this task and reason for doing it. "Context actually provides historical information related to issue and explains the current situation, whereas Purpose looks ahead to achieve what is desirable or solve the issue". Quality - Outcome, what are the required outcomes? what standards are required to perform the task and what key parameters are to be identified from the outcome to say we got the successful outcome. This is to make sure the outcome has desired standard and form you prefer. Quantity - Measure, it is the physical measure of an outcome. This describes how many and how much measures does an outcome needed to have. Every outcome might not have this kind of measure. "Quality is about the standard to which the task is completed and Quantity is about the physical measure". Resources - Parameters, what does a person have to use and complete the assigned task. Is it the technology skill set, equipment, tools, workspace, vehicles, meeting rooms, budget, people for assistance and how much of their time have to be utilised for the task. Time - (how long: effort & duration) how long does it take to complete a task and what milestones have to be achieved. Communication of their progress is needed all the way through reports or through regular discussions. All new apps submitted to Mac App store must support 64-bit architecture and the existing ones have to be updated to 64-bit by June 2018. 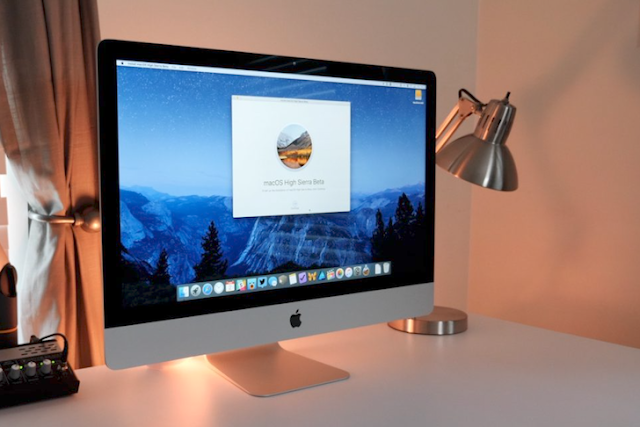 The reason behind this is, Apple has made clear that macOS High Sierra will be the last OS to support 32-bit architecture. As of 31st January'18, new applications submitted to mac app store should support 64-bit architecture apps in Mac App Store and those existing have to updated to 64-bit and support by June'18. "To prepare a future version of MacOS where 32-bit software will no longer work without compromise, starting with MacOS High Sierra 10.13.4. The user will also be notified when launching an application that relies on 32-bit software. The alert will appear only once per application." The idea behind this is to create awareness to users and ask them to update the apps to latest versions. Learning the basics of data science should not take that long. If you eventually want to be one of the ‘best of the best,’ you will have to put in years of effort. Everything is possible for a motivated for a person or a data science student to learn the basics so well that he or she can write the basic syntax ‘in their sleep.’ A good student should be ‘fluent’ in the basics within months. A data science student studying R should be ‘conversational’ (i.e., fluent in the basics) within 8 to 12 weeks. “How to Learn,” the foundations of data science, very, very quickly. Here’s how. iPhone 6s to iPhone 8 - Do you really need To Buy or Not to Buy ? It is a wonderful thing to see that Apple released a new version of iPhone's along with new iOS. Apple is thriving. Many people along with us are really excited to use new iPhone and see how better they are from the previous ones. 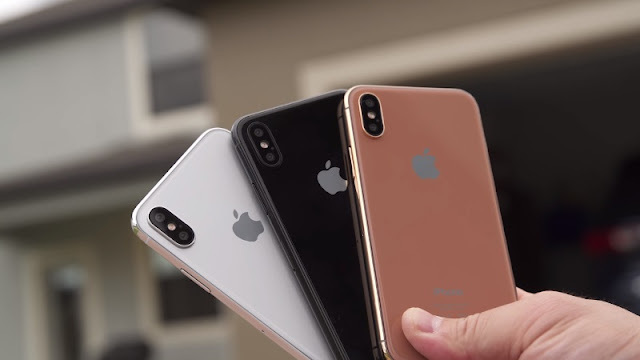 As part of this interest of people, Tech Insider released a video on it saying "I won't trade in my iPhone 6s for an iPhone 8 or iPhone X — here's why". We were analyzing whether to upgrade to a new iPhone or continue with the existing iPhone or the latest Android phone. As Tech Insider released a video, we would like to add some more information to it. Anyway, this matters to people who are using iPhone 6S and later versions. 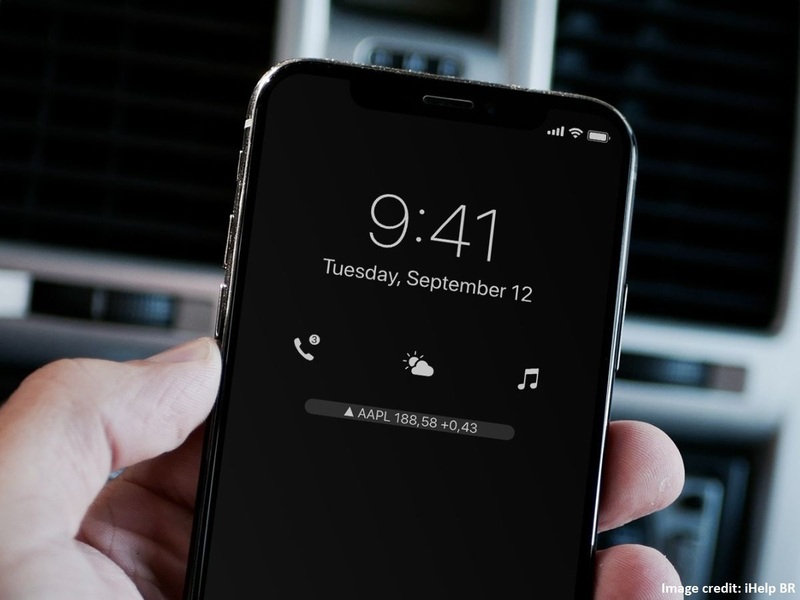 If you analyze your needs with the features of iPhones 6S and iPhone 8, you will be able to find out how better is iPhone 8 than your existing iPhone. Then compare the price with the difference in features, you might be amazed at the outcome. People with iPhone 5 or 5S versions in hand are obviously welcomed to get an iPhone 8 as this upgrade gives them boost in having a larger iPhone screen, better features, better performance and a better camera at some good price. Yet it depends on person to person, on how badly they wanted to get a new iPhone, is it for development, is it for review, is it that they just wanted to have the latest phone, or is it necessary to have a phone or an iPhone latest only, based on personal circumstances. Here come's few things one needs to consider before they take a step and buy an iPhone 8. Affordability, Luxuriousness, and Smartness are three top things which make us manage our budgets well enough and also sometimes they allow us to identify a true value of an object according to the personal circumstances. Vary the features of iPhone 6s to iPhone 8 and decide whether to buy or not to buy an iPhone 8 if at all you are using iPhone 6s or later. Personally, we use an iPhone 5S, iPhone 6, Moto X 2nd Gen and also use a DSLR Nikon D3100 and MacBook Pro Mid 2012 model. These things are smart enough to keep us going forward and do the best what we could. Greatly we received the new iOS 11 and Mac OS High Sierra, no complaints.. everything's working fine except iMessage on MacBook Pro is little odd and it doesn't allow us to delete multiple messages at a time. Ended up deleting one of after the other. We wish if Apple could attend this issue. Finally, today Google officially launched the mobile payments app in India. The app is available from Google Play Store for Android phones and App Store for iOS devices. This app helps you to make payments through their mobile wallet by linking phones to their bank accounts and then to pay for goods purchased a physically at retail stores and online, this app will also allow you to make person-to-person money transfers as well. Penetrating into Indian mobile payments market might not be easy for 'Tez' as it is already occupied by many well-known competitors such as PayTM, MobiKwik, BHIM and almost every bank has got its own app to facilitate their customers to make online payments through their mobile devices. The app supports multiple languages such as Hindi, English, Telugu, Tamil, Kannada, Bengali, Marathi, Gujarati. Online transfers are limited to ₹1,00,000 in one day across all UPI apps and 20 transfers per day. 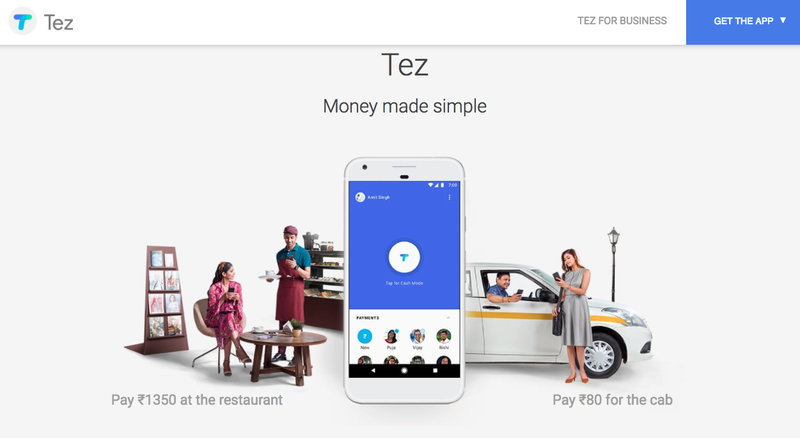 Banks such as Axis, HDFC, ICICI, SBI, and many other banks which support UPI are supported by Google Tez. Online payment can be done to RedBus, Dominos through 'Tez'. 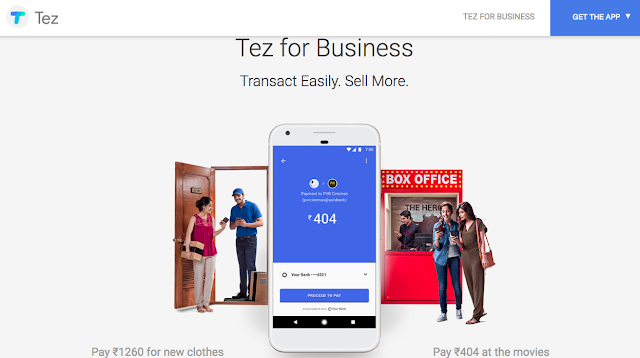 Business owners can also integrate 'Google Tez for Business' to their businesses as a smart & secure payment facility.